This morning [Dec. 10] I set out to once again head up Palace Hill for further exploration. 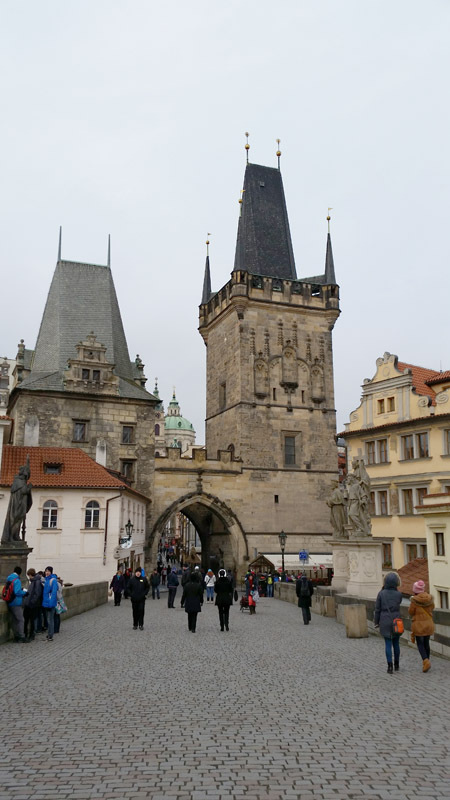 However I decided to hop off the tram and explore Charles Bridge which was built in 1357 by Charles IV. 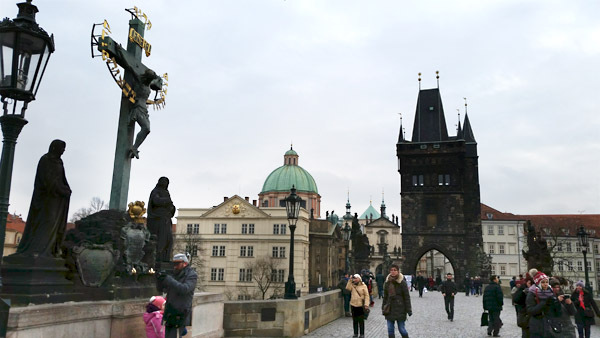 The bridge connects the castle and the old town. 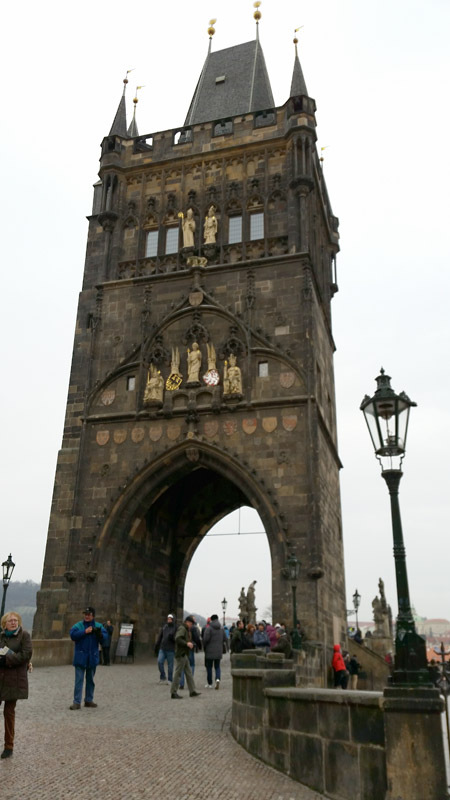 The bridge tower is said to be one of the most astonishing civil Gothic style buildings in the world. 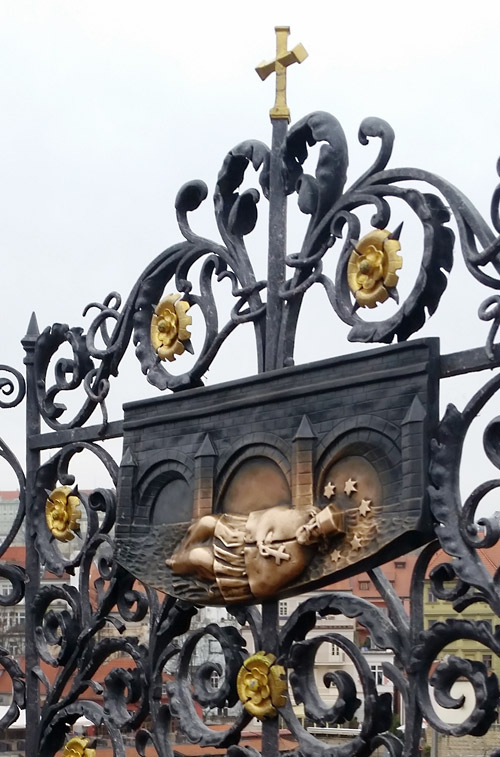 Once again I encounter Saint John Nepomuk because there is a monument to him on the bridge where the King had him thrown over into the river to his death. Five stars appeared in the water over his body; that is why stars surround his head. 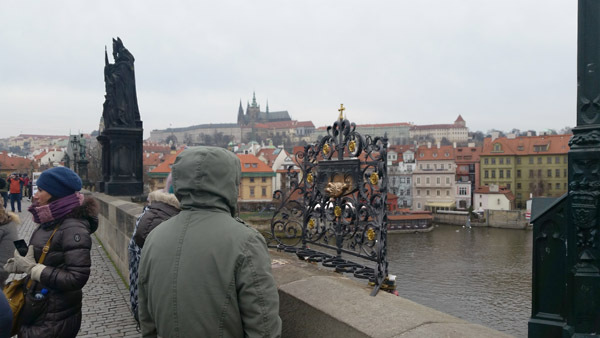 But I was even more intrigued as I watched people come and pray and venerate the monument which marks the place where he was throw over into the Vltava River. 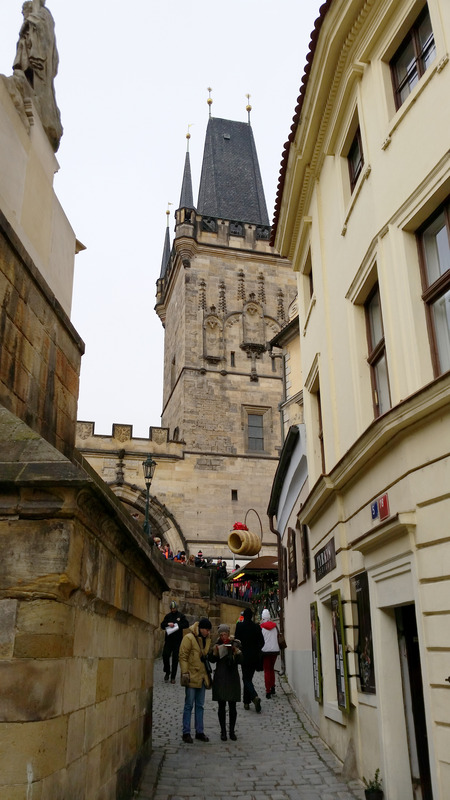 Where St. John Nepomuk was thrown into the river. 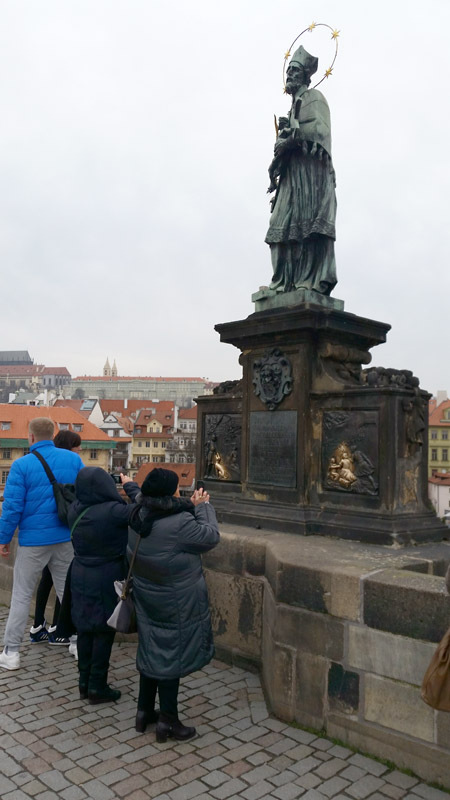 This entry was posted in Beauty, Europe, Faith, Martyrs and tagged Charles Bridge, martyrs, Prague, St. John Nepomuk on December 14, 2014 by frjfkauffmann.